Shad Helmstetter, Ph.D. is the author of more than twenty books in the field of personal growth. His ground-breaking classic on the subject of self-talk, "What to Say When You Talk to Your Self," is published in over 70 countries, and is in its 45th printing in 30+ years of publication. To download and listen to self-talk. 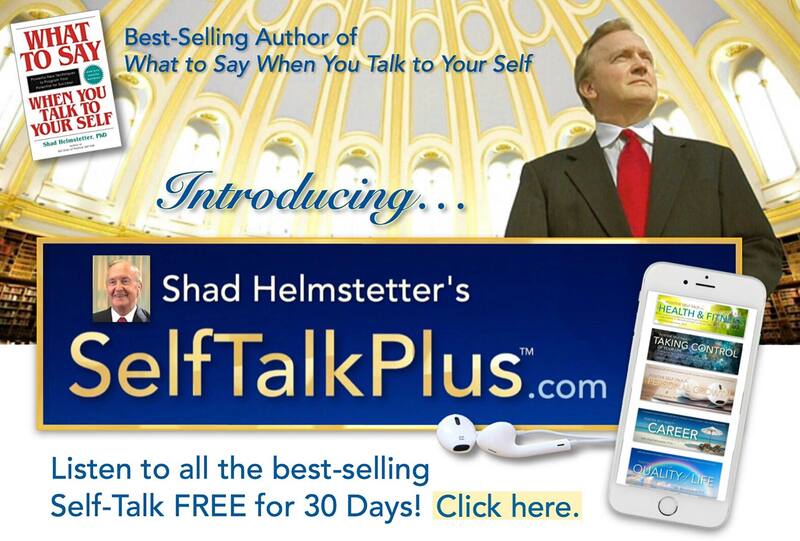 Download all of your favorite Self-Talk Programs at special prices! smartphone or any listening device. To become an LCI Certified Life Coach. Be trained at home by Dr. Helmstetter, and certified by the world's most experienced life coach organization. A new training class is now opening. of self-talk. Now you can join him, as a Certified Self-Talk Trainer™. To invite Dr. Helmstetter to speak to your team, group, or organization. Invite Dr. Helmstetter to train your team in person, or live via video or phone tele-conferencing. Schedule his life-changing "Self-Talk for Success" training now. To order the life-changing books.